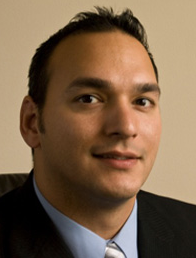 Michael Kothakota is a neutral financial specialist in Collaborative Divorce cases. He has extensive experience working with couples going through divorce. Michael ensures that the couple understands their current and potential financial situation. Prior to being deployed as an infantryman with the North Carolina National Guard, Michael worked in corporate finance at GlaxoSmithKline, where he learned financial modeling. While serving in the National Guard, his unit, B Co, 1/120th Infantry was deployed in support of Operation Iraqi Freedom and Operation Enduring Freedom. Like most in his unit, combat was not his only responsibility. Mike spent his non-combat time writing Commander’s Emergency Response Program (CERPS) requests for infrastructure. He wrote and received over $200 million for his unit’s area of Iraq, which built schools and water treatment plants, and got rid of unexploded ordnance that was harming children. Upon returning from the war, Michael began working at Edward Jones, where he received his Certified Divorce Financial Analyst (CDFA™) designation and began working with divorcing couples. After Michael left Edward Jones, he formed WolfBridge Financial Corporation. For three years, he served as a financial analyst and expert witness for divorce cases. Michael realized that litigation was not meeting client goals. He searched for an alternate divorce process and found the Collaborative Divorce, which helps divorcing couples create mutually agreeable financial plans. Michael has an MBA from North Carolina State University and holds a Certificate in Financial Planning. He is a member of the Chartered Financial Analyst (CFA) Institute, the Society of Actuaries, and the Association of Business Valuators. He has extensive experience in helping couples reach resolution within the Collaborative Divorce process. Mike’s ability to think logically about couples’ situations, while at the same time understanding the emotions involved, has made him an important participant in the Collaborative team process.